I love your meal plans. They’re delicious, easy and SOOOO helpful to me. Thank you, thank you, thank you! Hello! 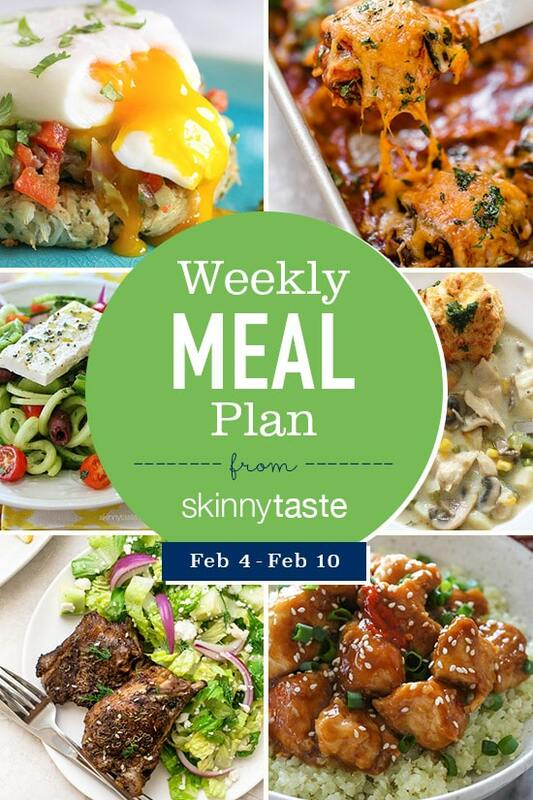 I discovered your site last week and did your meal plan for the week. I want to say Thank You! I just started WW and this helped me out so much. Your ’recipes are so good 😊. My family loved them as well. I love your recipes. They are easy and quick. My husband and I are eating healthier and your website is a blessing. Love, Love , Love!! And a side note. My mother in law bought a air fryer for him for his birthday and he thinks he is going to buy frozen items and still eat healthy. LOL. Thank god for your air fryer recipes..
Wow! I’m going to try these! Just found you yesterday, LOVE your site and these menu plans, thanks for including the shopping lists! The meal plans are great! Definitely keep them up, thank you! I’ve just discovered your website and these meal plans. They’re terrific. Please continue to post these meal plans!! They have been super helpful. Really helpful for indecisive people like me and my fiancee. We can’t decide what to make sometimes so it’s really nice to have the structure of these plans. We have been losing weight with them! I’ve been using your weekly meal plans to help plan my week. I generally use about four days’ worth of your recipes and do my own thing on other days. It sure helps relieve the stress of having to plan my week out or, worse, go day by day. I get to try lots of new, delicious recipes while staying on track with weight loss. My family enjoys these meals, too. Thank you so very much! Just received your One and Done Cookbook in the mail recently and am enjoying that, too. Love these plans and the shopping list. The skinny Caesar dressing is everything. Hello. I have been cooking Skinnytaste recipes since your first cookbook, but not really cooking them to lose weight. However, I am interested in following your meal plan to lose weight. Its amazing that you provide a meal plan and shopping list to begin with!. However,, I am a “spreadsheet” person, and there is one page that I am having difficulty printing, its the 7 day planner spreadsheet, which would be very useful to me. Can you please tell me how I print the spreadsheet itself. I am able to print everything else. I have tried coping the documents to Word and Excel, but no luck. Thank you. Hi Gina! I use your meal plans all of the time. Thank you as I know it must be hard to do! Is there a certain brand of bay leaf you get? A lot of the bay leaves I buy at the supermarket are broken up in the bottle. Thank you! Thank you so much for these weekly meal plans! It’s so great to have new options for dinner ideas! Wow, I just found this site and I am soooo happy I did!! This meal plan for the week is so helpful and amazing. The fact that you lay it all out in a visual and list form, plus give the links to the recipes, PLUS the grocery list is so helpful. Thank you so much!! I love these menus! Please continue. They are tasty, and format is easy to use. 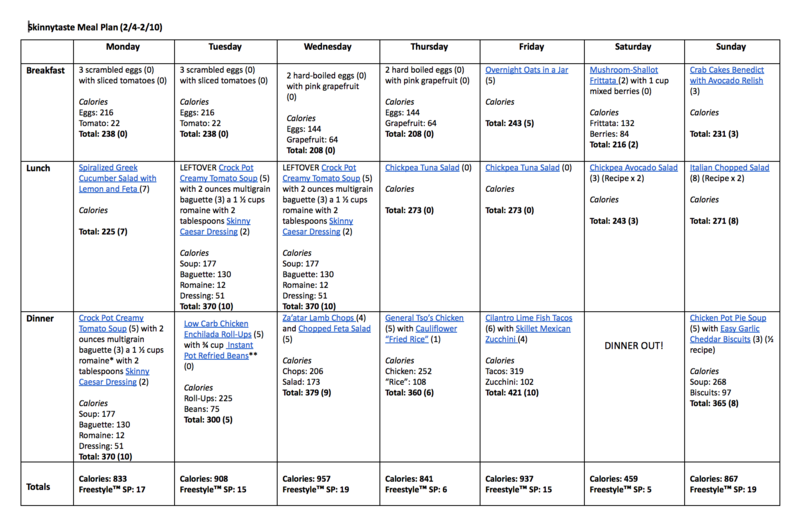 Ive been using your meal plans for the last month…my family is loving them! It helps so much having a plan for the week! I’m down 20 pounds this month, my husband who still eats lunch out most days is down 15, and my 13 year old who wants to lose some and get in better shape for lacrosse just told me she needs new jeans because hers are all loose now!